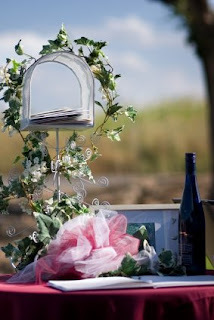 African American Brides Blog: Do Guests Really Have A Year To Give Presents??? We've all heard at some point that, according to etiquette, wedding guests have a year to give the newlyweds a gift. But, some etiquette experts say it would not only be wrong, but rude to wait a year to give someone a gift for ANY occasion. Could that be right? Have we all been lied to? Where did that misinformation come from? One theory is that some doubtful guests want to wait to make sure the couple stays together. Read what JODI R. R. SMITH had to say about the year-to-give-a-gift rumor in the Boston Globe.